Tiptoe is your local podiatry and chiropody clinic in Barnet. Our fully trained and regulated medical experts are waiting to help you resolve all your feet and toe related issues. 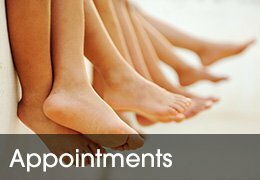 With evening and weekend appointments available, we aim to have appointments available at times to suit you – call us on 0208 368 7145 or book online. At Tiptoe, we want to help you maintain the best foot health possible without stopping you from doing the things you enjoy the most, whether that’s taking part in your favourite sport or wearing slightly impractical shoes to work. Our professional practice offers bespoke care for all members of the family, and combines emergency treatment for infections and injuries with regular check ups, care and advice. 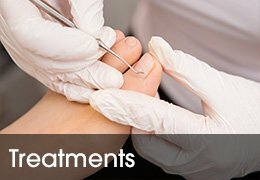 Our patients’ needs range from treatment of common foot problems such as verrucae, corns, ingrown toenails or simple foot/ankle pain to more specialist treatments and advice for diabetes and cancer sufferers. Our highly trained clinicians are also able to deliver reflexology, soothe hip or knee pain and provide nail reconstruction so that you can leave us feeling relaxed and ready for the week ahead. We also have a range of leaflets available in the practice to provide foot care information and advice, such as help on what to look for when buying shoes in order to try and avoid unnecessary pain or strain on your feet and ankles. All our podiatrists are members of the Health Professions Council and Society of Chiropodists and Podiatrists, and regularly attend courses to continue their professional development.